Does a lake monster dwell in Lake Tahoe? 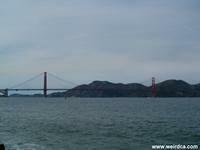 California is a massive state with hundreds of miles of coastline, thousands of lakes, and several rivers. With so many bodies of water and so much coastline, it's no surprise that California has its fair share of lake monsters and sea serpents. No less than six lakes in California have had stories about monsters residing in them. Additionally at least five famous sea serpents have been sighted over the many decades! Native Americans stated that Homer Lake in Lassen National Forest had a Manitou residing within it. Manitou means spirit, and the legends state that the one in Homer Lake was of the evil variety, literally a spawn of the Devil! They also described strange water creatures known as "water dogs" living in Klamath River, as well as "water panthers" in some of Klamath River's tributaries. From the fall of 1870 until the summer of 1871, the Blue Lakes were terrorized by a creature that ranged in description from a Chinese Dragon to a thirty foot giant fish behemoth. The sightings also got some press in newspapers of that time. Elizabeth Lake down in Los Angeles County was plagued from the 1830s until the 1880s by a bulldog headed, six legged, fifty foot monster! Luckily, the fearsome monster was chased off by legend, Miguel Leonis. At least three lakes today continue to have sightings in more modern times. Lake Tahoe, located on the California / Nevada border is, at 1,645 feet, the second deepest lake in the United States. Not surprisingly it is home to the lake monster, Tahoe Tessie. 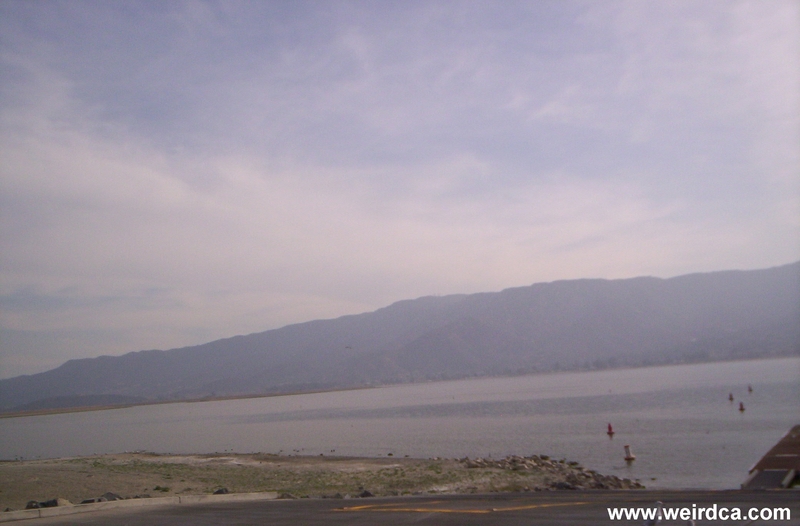 The largest natural freshwater lake in Southern California is Lake Elsinore, covering about 3,000 acres of monster holding area. Elsie or Hamlet as he is sometimes called resides within the depths of the lake. Lastly the Lake Hodges Reservoir is home to Hodgee, a lake monster that the government may have literally tried to kill by poisoning the entire lake back in 1956. Lake Merritt in Oakland is also suspected of having a small lake monster residing within its depths. Supposedly black with spikes on its head, it is said to resemble an eel with a dragon head. Although most of the reports are in recent years, some reports of the monster first happened in the 1940s. It is also called the Oak-ness Monster. But . . . this is all most likely a hoax, and the monster is more than likely a made up story meant to entertain and draw attention to the uniqueness of Lake Merritt. Loren Coleman, famous cryptozoologist, has theorized that sea serpents may actually migrate along California's coast, much like whales and other sea life do. Even if it's not true, California is well known for the sheer number of sightings that have occurred over the decades. Granted, many might simply be a result of the oarfish, a long sea serpent like fish that has been often caught and seen along the California coast. Is the San Francisco Bay home to Sassie the Sea Serpent? From the early 1900s until 1954, the area between Santa Catalina and San Clemente Islands was plagued by a sea serpent now known as the San Clemente Monster. Although it's believed to have been a Baird's Beaked Whale, Moore's Beach in Santa Cruz famously and controversially had the carcass of a sea monster wash ashore in 1925. The late seventies and early eighties brought sightings of the Stinson Beach Monster, thought to possibly be a Cadborosaurus, a sea serpent like creature sometimes playfully called Caddy. Monterey Bay had (or perhaps still has) Bobo, who may or may not be the same sea serpent known as The Old Man of the Sea. Course skeptics believe that Bobo might just have been a particularly strange looking and large manatee that scared fishermen in the thirties and forties. 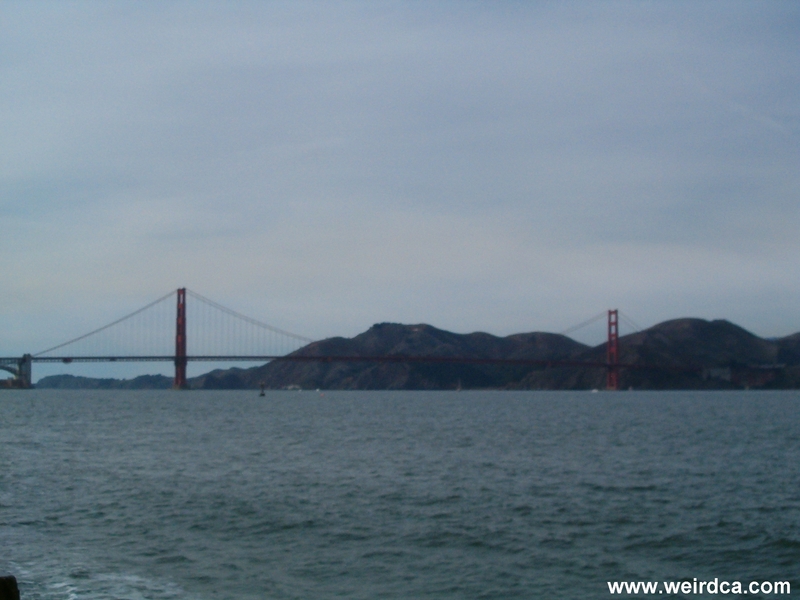 Lastly, more recent decades have brought to the San Francisco Bay the sea serpent now known as Sassie who's actually been seen in the 2000s. Not enough for you? California has also been plagued with stories of gigantic catfish, colossal sturgeon, crocodiles where crocodiles aren't suppose to be, and enormous salamanders living up in the Trinity Alps! Even the prehistoric Megalodon Shark has been rumored to still cruise the cold northern California waters!